Sadly, I don’t live by the ocean because I am obsessed with all things coastal and nautical. 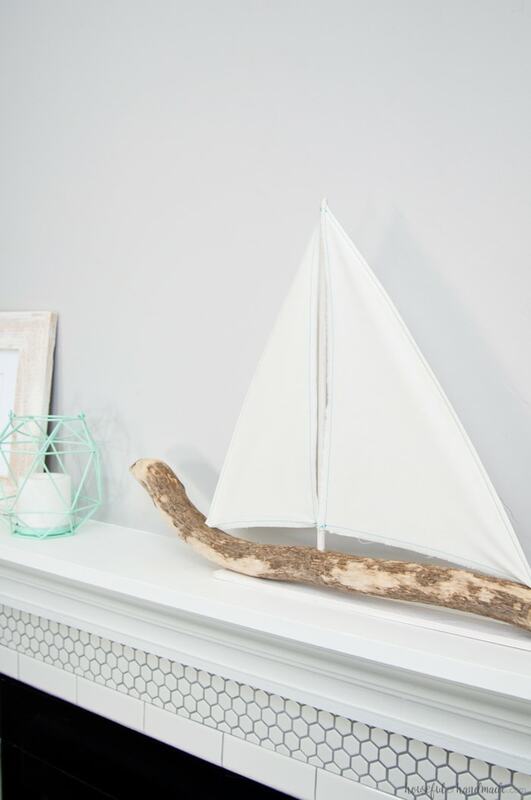 So instead of actually living on the beach, every summer I fill our home full of coastal and nautical decor so it at least feels like we live on the beach. I have been working hard this month creating all kinds of fun coastal and nautical decor items. DIYing your own decor is a great way to decorate your home on a budget and it’s so much fun! Seriously, I think I might be slightly addicted to DIYing home decor. 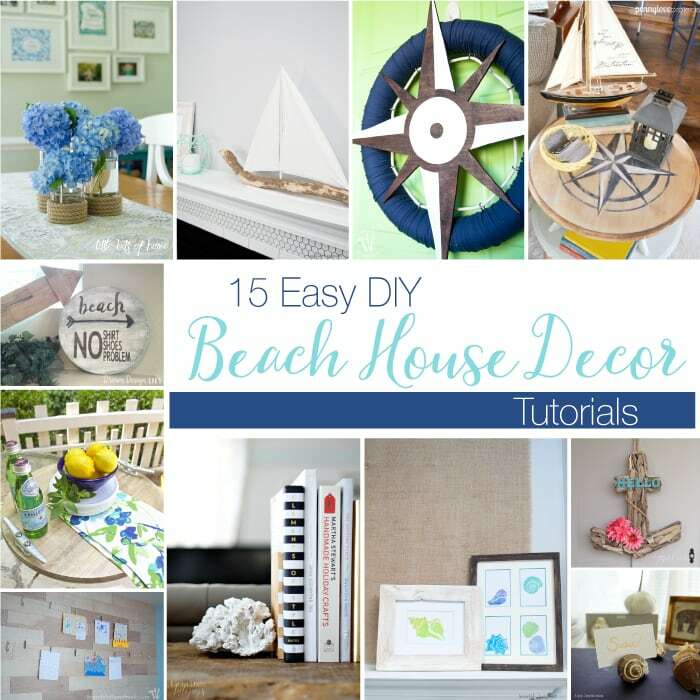 While I am busy creating a beautiful beach house for summer, I wanted to share with you these 15 easy DIY beach house decor tutorials so you can create your own perfect beach house too! Every good beach house has lots of nature inspired decor. Using found items from the beach or ocean are the perfect way to create a beautiful beach home. If you can’t get to the ocean to gather up some beautiful trinkets for your home decor, you can always buy them at your local craft store. Here are a few of my favorite decor items made from nature. « Remodel Update: Rustic Railings are Done! I love that anchor door hanger! Thank you for sharing at Merry Monday! I know right, so cute! Thanks for stopping by. We can’t thank you enough for including our Nautical Serving Tray in the fabulous round up! we appreciate it so much!